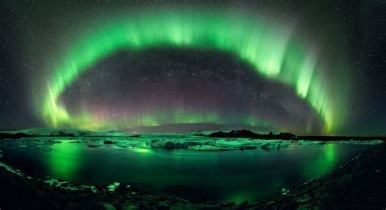 There’s never been a better time to fly to Iceland! Take advantage of new low-cost Transatlantic service to see this breathtaking country. Plus, since we’re booking off season itineraries (Nov-Mar) smaller crowds mean the already stunning Icelandic landscape will look even more pristine. Visit Reykjavík, Iceland’s largest city and the world’s northernmost capital. 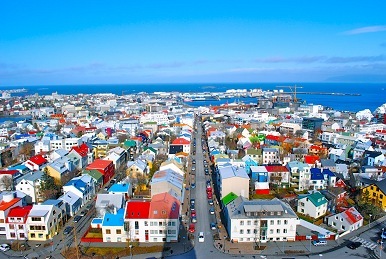 Stroll down colorful streets to The Pearl, with its panoramic viewing deck; Tour Reykjavík City Hall, with its massive raised-relief map of Iceland. Take a break at one of its cafes to sample the local cuisine. After dinner, make sure to be ready at your hotel to be picked up for the Northern Lights Mystery Tour. During clear and cold dark nights, it’s possible to witness one of nature’s most incredible displays: the Northern Lights, also known as Aurora Borealis. Prepare to be overwhelmed by the grandeur of the otherworldly scenery as you set out on an adventure to the Golden Circle and Thingvellir National Park, a UNESCO World Heritage Site. Next stop is Lake Laugarvatn and Fontana Geothermal Baths, where you’ll soak in the geothermal pools and enjoy a relaxing time in the natural steam rooms. After a bracing bath you continue to Gullfoss Waterfall and the spouting hot spring where the geyser Strokkur is sprouting at regular intervals up to 25 meters/82 feet. The next day, head North to experience Iceland’s second largest city Akureyri and explore its arctic surroundings. Experience coastal life in Eyjafjordur Fjord and Trollaskagi Peninsula. The picturesque coastline route, with the mountains hovering above, is a road less traveled and offers the tranquility of rural Iceland. Stops include Siglufjordur Village, the busy harbor area of Dalvík Village, one of the biggest ports in the Icelandic fishing industry, and the old herring factory in Hjalteyri Village. The tour ends with a special visit to Kaldi Brewery, Iceland’s first micro-brewery, where you will get to taste their products, paired with local food. From Akureyri, enjoy an amazing journey through an area of extreme contrasts, bird life, flora, geothermal activity, geology and saga. The Lake Myvatn area is by many considered the most beautiful place in Iceland. 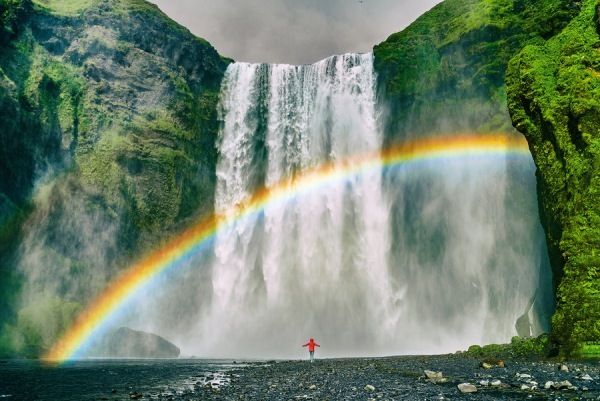 The highlights of this tour are a stop at Godafoss Waterfall, the pseudo-craters of Skutustadagigar before we continue to the mystic Dimmuborgir (Dark Cities) full of lava-pillars and formations that are rich of mystic sagas and tales. The tour ends at the Myvatn Nature Baths, where you can enjoy a relaxing stay in a completely natural pool of geothermal water in the middle of lava fields with a great view over Lake Myvatn.